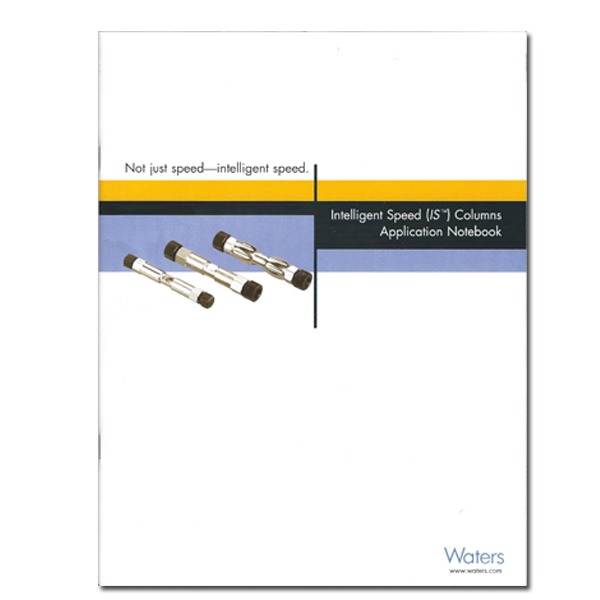 An informative guide for customers who purchase the Intelligent Speed (IS) HPLC column. 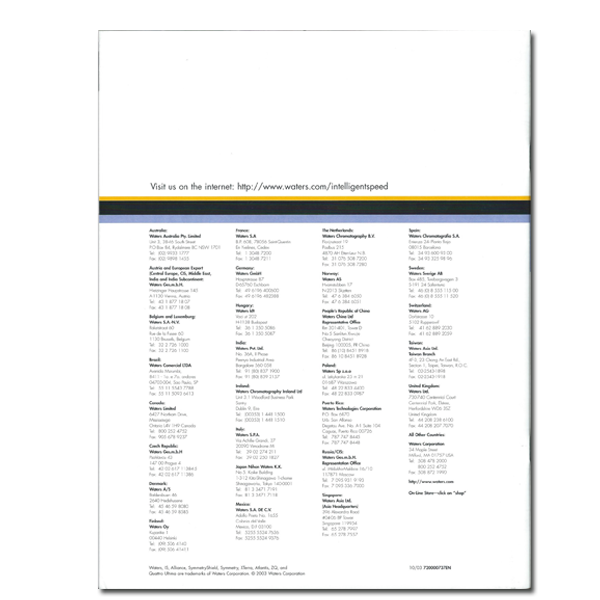 This was created as an informative guide and sales tool in support of the Waters Corporation Intelligent Speed (IS) liquid chromatography column. The notebook needed to coordinate with the already established IS brand identity. Notebook was created in QuarkXpress. 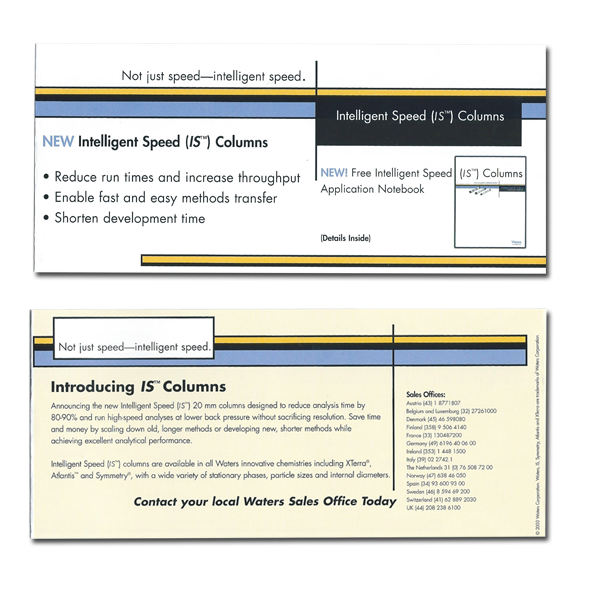 A magazine belly band advertising the new Intelligent Speed (IS) application notebook. 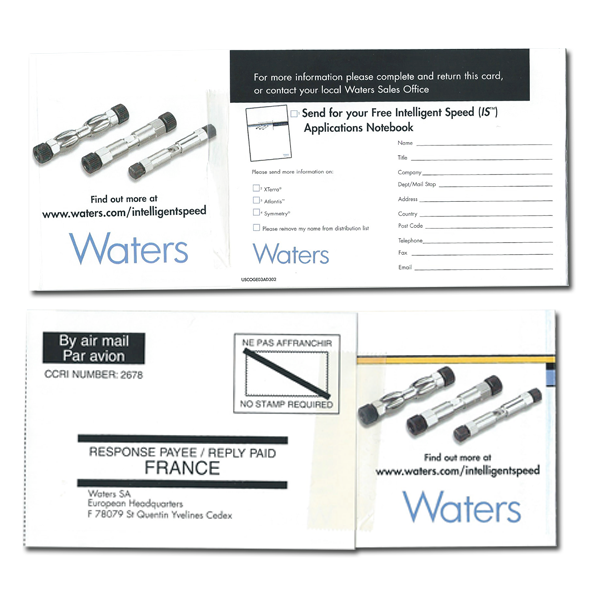 The belly band had a call to action incorporated, and the design made use of a BRC (business reply card) integrated into the band itself. It was done in several languages. The band was designed to coordinate with the existing IS brand identity. 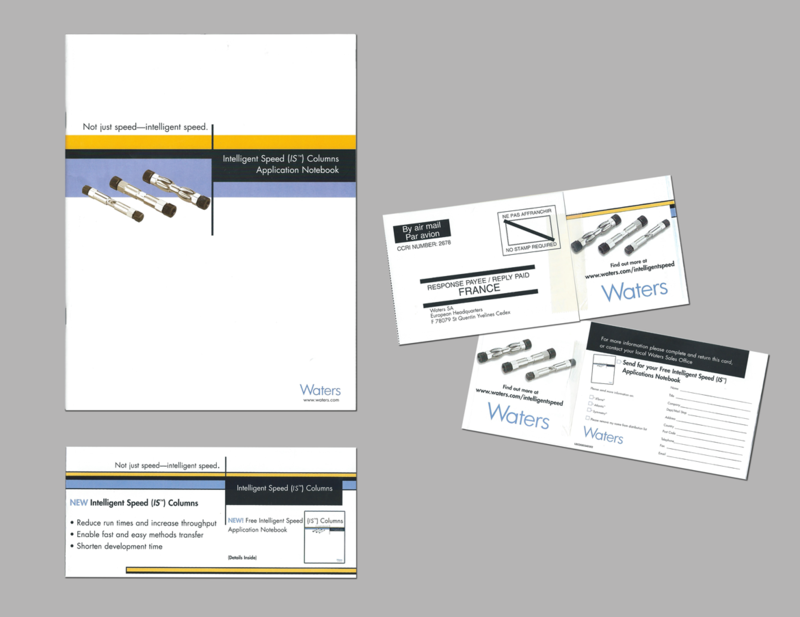 The band was created in QuarkXpress for Waters Corporation.